Easirent.com is a Nationwide Car and Van Rental company with a history of over 25 years in car rental services. With Easirent you receive a top-class car hire experience, our expertise and a friendly and personal service from our family-run business. We enjoy steady growth, we now have 30+ locations in the UK, Ireland and USA. 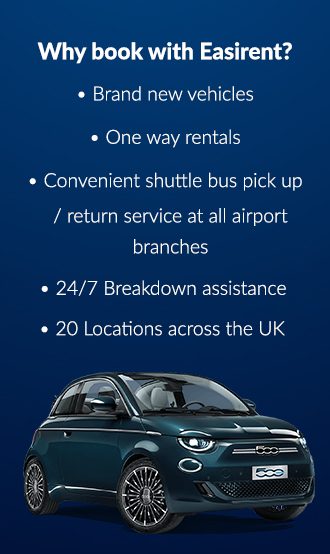 NEED HELP WITH YOUR GDS CAR HIRE BOOKINGS? Remember use supplier code ‘ES’ !